Eddy Lin had a crazy idea while hiking the foothills of Los Angeles. Tired of LA’s heavy commuter traffic, Lin began dreaming of building a personal aerial vehicle. As he researched how to turn his idea into reality, Lin came across the GoFly Prize, a Boeing-sponsored competition to create a personal flying device with help from global aerospace experts and cash prizes. 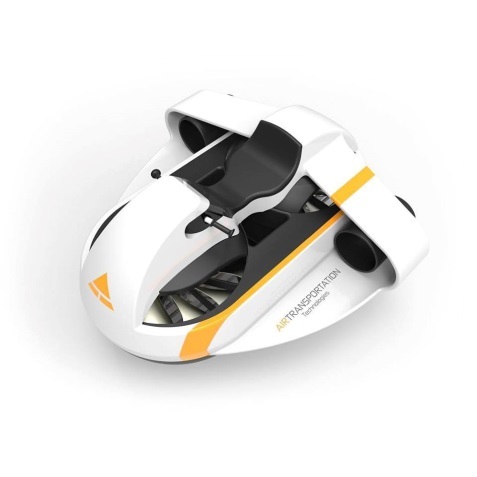 The GoFly Prize personal flying device must be safe, quiet, ultra-compact, nearly VTOL (vertical takeoff and landing), and capable of carrying a single person 20 minutes without refueling or recharging. GoFly Prize sponsored a CAD tool called Onshape for the competition, but Lin’s engineer had already used SOLIDWORKS. 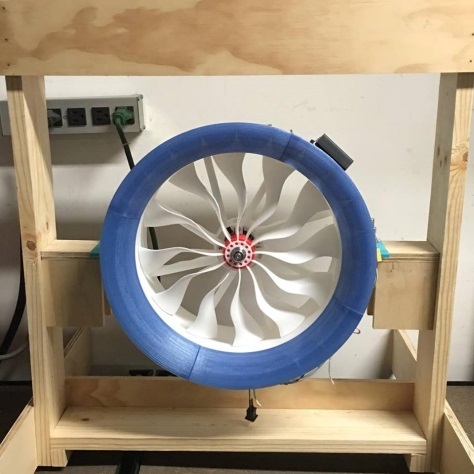 Lin shared his story with Deena Doveatt, senior account manager at SOLIDWORKS Value-Added Reseller GoEngineer, who quickly connected Lin’s startup company, Air Transportation Technologies, to the SOLIDWORKS for Entrepreneurs Program. For early-stage companies that meet the eligibility criteria, the SOLIDWORKS Entrepreneurs program offers software, training, and co-marketing resources to help your idea become a product and your product become a business. After acceptance into the program, you receive up to three SOLIDWORKS licenses for each relevant category. “We requested the premium package, so we’re able to do everything imaginable with the software, from concept to final product,” said Lin. Air Transportation Technologies entered Phase I of the GoFly Prize competition, along with 200 other entrants. Even though Lin and his team did not win, the contest is by no means over. On to Phase II. Getting involved in the GoFly Prize competition has helped Air Transportation Technologies to begin looking at their dream as a business. It motivated them to do renderings, build prototypes, and more. Lin and his team are excited and hopeful but have no idea how well Phase II of the GoFly Prize competition will go. But neither did the completely unfunded Wright Brothers. Air Transportation Technologies has already achieved some pretty amazing things. GoEngineer wishes them luck!